It's been a while since we played with a SteelSeries keyboard. It's one of the brands that's usually very interesting thanks to frequent innovation and attempts to try and push the market forward, even if the ideas are sometimes gimmicky. 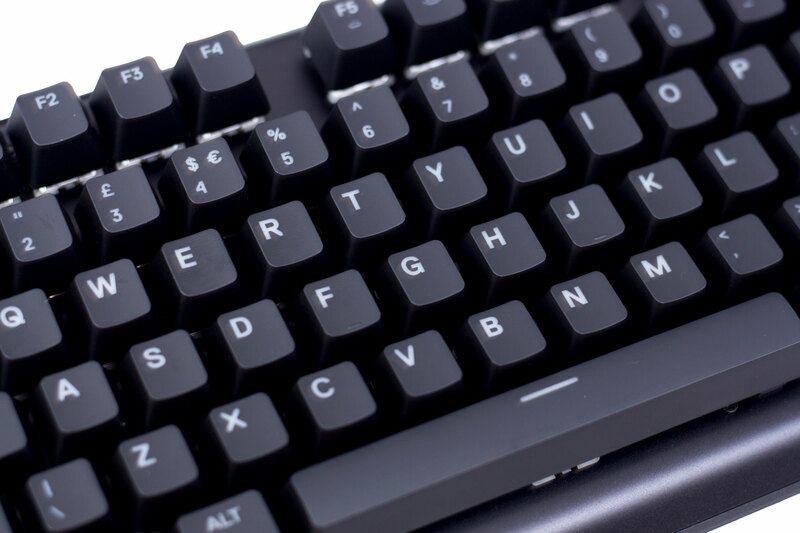 This time, we have the Apex M750, a rather nice looking keyboard that promises to deliver great performance with powerful software backing it up. Box contents are limited to just the keyboard, a user guide, and a couple of rubber feet. We expected a little more from SteelSeries - a wrist rest, a keycap puller, or a few stickers - as usually it is one of the companies that tries to impress the user straight out of the box. Having said that, you get everything you need; anything else is just a Brucie bonus when you get down to it, but at this price point, a little more still would've been nice to see. 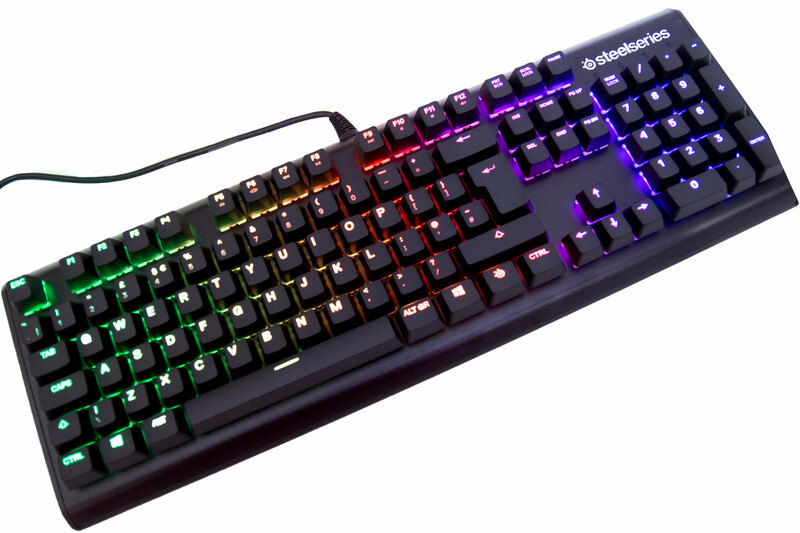 The last SteelSeries keyboard I reviewed and used was the Apex M800, which was a fantastic keyboard let down by being rather plasticky. With the Apex M750, SteelSeries has added some aluminium into the mix. Not only does this make the keyboard feel far more robust, but it also looks rather nice too! I do rather like the sides of SteelSeries keyboards. Unlike the M800, the M750 doesn't have the RGB lighting on the sides, which is a bit of a shame, but it does have nice metal detailing that complements the aluminium top plate. 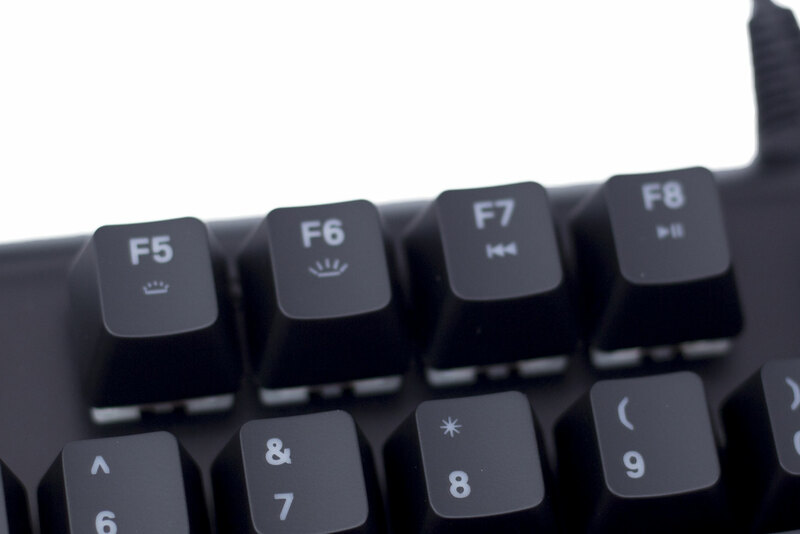 The M750 has a nice, simplistic look to it, and this is also reflected in the font used on the keycaps. 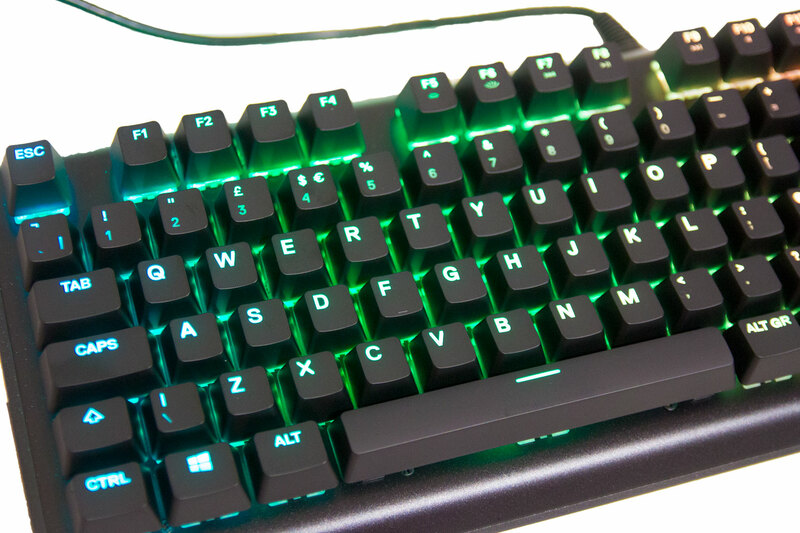 It's just a simple, clean legend that's easy to read at a glance, and the keycaps are of course compatible with backlighting, too. 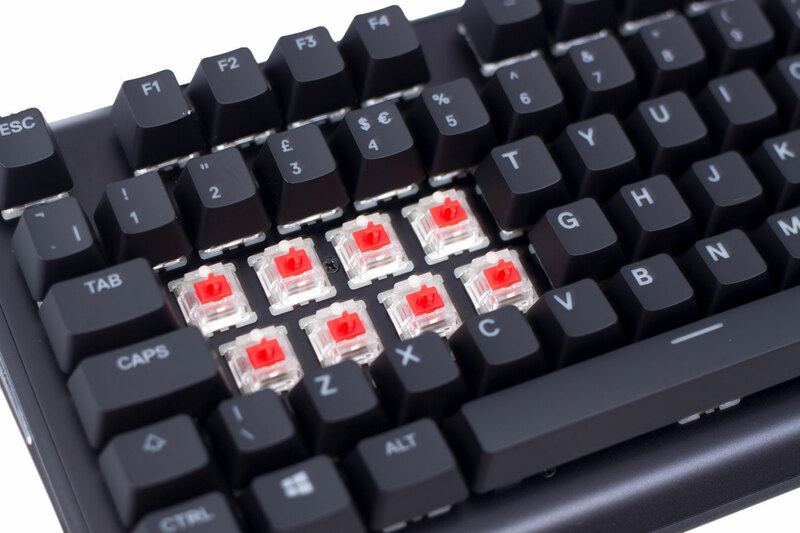 Getting to the important part of the keyboard, the Apex M750 uses SteelSeries QX2 switches. These switches have been developed alongside Gateron and do feel fantastic. Gateron is a very well known switch manufacturer and one of my personal favourites, especially for Gateron Greens. This is the first time I have used QX2 switches (or something similar that's Gateron-branded) and I must admit I really do like them. I'm not usually a fan of linear switches, and these are very similar to Cherry MX Red switches with an actuation point of 2mm and a 45cN weight, but they do feel that little bit nicer to me. This is, of course, a personal opinion, and switches are very much down to user preference. I've been using this keyboard for a good while now, and I've not had any issues with typing. In fact, I've had no problems with the switches at all. 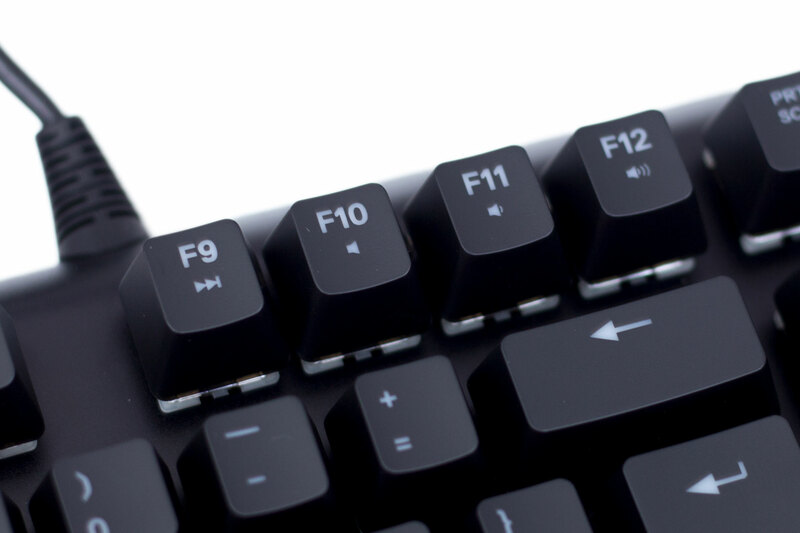 Using the SteelSeries logo FN key, you can control the backlight brightness. You also have media controls and volume controls here, which I am a big fan of. I often listen to music while working, and being able to skip, pause, or mute songs without having to stop writing or editing photos is invaluable. It would have been nice to see them as dedicated keys, but this would have probably made the keyboard footprint larger. One thing I really am not sure about are these feet. Yes, they work, and yes, a lot of people either have the keyboard at an angle or flat, but I often change the angle of my keyboard depending on how I'm sitting or whether I'm gaming or typing. 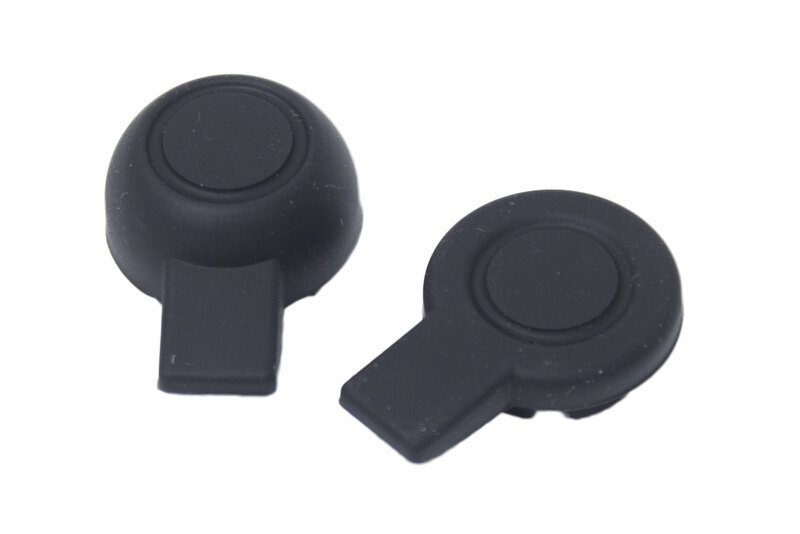 With the SteelSeries Apex M750, you have to swap the rubber feet over completely just to move from one angle to another. It doesn't take a huge amount of time, but it is a little fiddly, and there's always that fear of losing one. For me personally, it ended up getting rather annoying having to turn the keyboard over completely, swap both the feet, and flip it back. 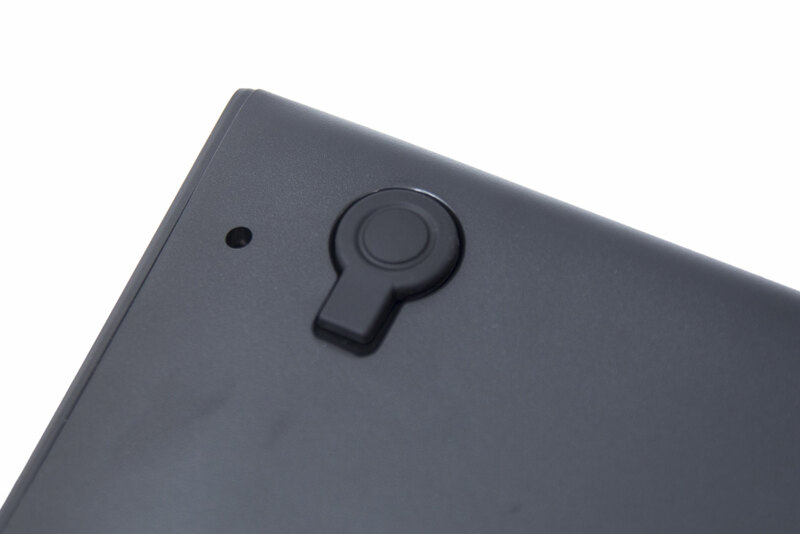 They are a lot more robust than usual keyboard feet, granted, but they are far less functional. As mentioned, though, once users find a position they like with a keyboard, they tend not to change much if at all, so it won't be an issue for them. 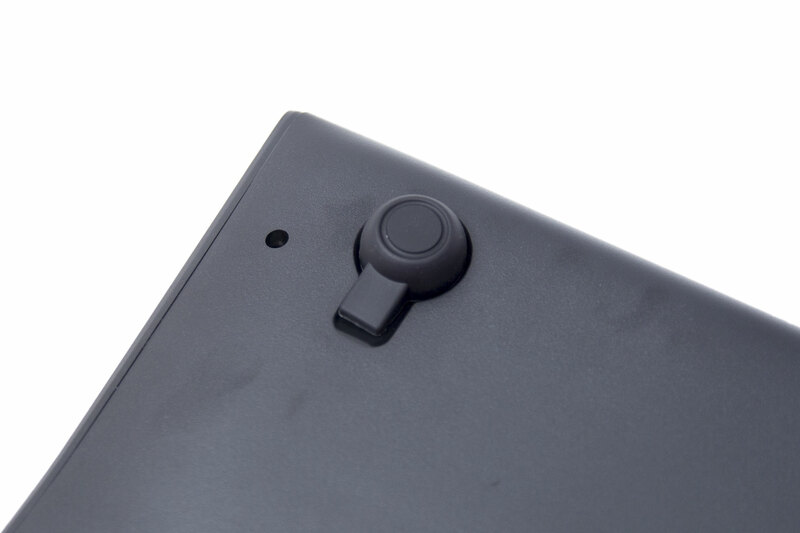 There are also two fixed rubber feet at the front that stop the keyboard from sliding, which I don't have any complaints about. 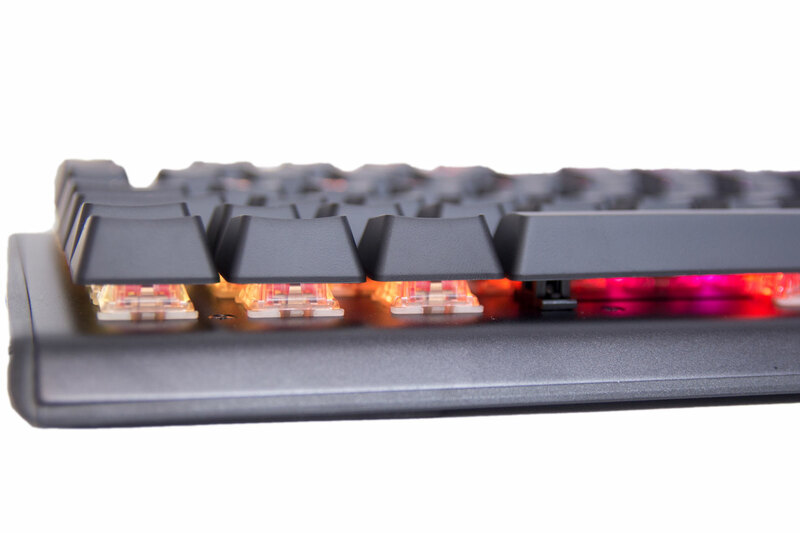 One of the main features that SteelSeries is pushing with the Apex M750 is the backlighting and RGB options. We will look at the software shortly, but the lighting is rather nice. This isn't much different to Corsair or Razer, but it is a very good example of how RGB LEDs can make a keyboard glow. The raised keycaps look great with RGB illumination, too, especially alongside the aluminium top plate.